Whether you’re looking to perfect your cupcake skills, take up a new hobby or just have some fun we offer a range of cupcake decorating classes to suit everyone. 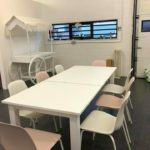 Classes are held at our new workshop in Quartermaine Road, Portsmouth. You will learn how to apply buttercream using a variety of techniques, including piping swirls; you will also make beautiful simple sugar flowers & edible decorations, and will of course use plenty of sprinkles and sparkles. 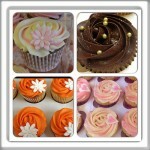 At the end of the class you will go home with a box containing twelve of your beautiful cupcake creations. For more information or to book a place on one of our current cupcake decorating classes, please CLICK HERE or email us on Info@sweet-creation.co.uk or contact me on 02392 664580 or Mobile 07809366833. 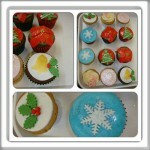 We also offer specially-tailored cupcake decorating classes and group bookings for parties, hen days and corporate events. Please use the contact us page for more information based on your requirements.